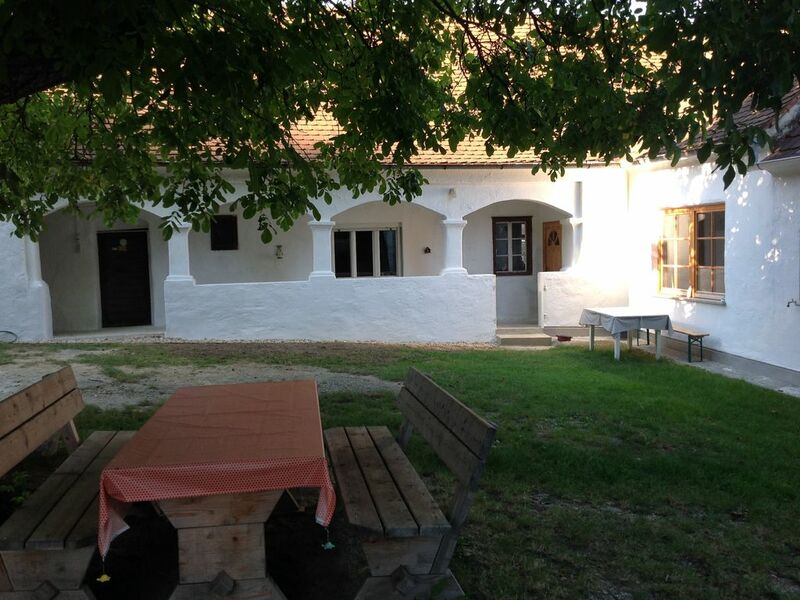 We offer you a peaceful time in a holiday home - built into an old arcade farmhouse dating from 1900's. The apartment combines the jahrhunderalte Histroie of the building with the high demands of the 21st century. Century. Rural elegant ambience combined with new technologies, such as wireless Internet, flat screen TV are just the beginning of the little extras. The offered apartment has just been lovingly decorated new. From the courtyard, you can see directly to the Burg Güssing. The cozy apartment with 65 m² is divided into a bedroom, a kitchen, bathroom and toilet. The apartment has been planned for four persons and optimized. Ample parking on private property. In the kitchen you will find a dishwasher, a fridge and a cooker with ceramic hob and oven, also home appliances such as a blender, a coffee machine, a toaster, a kettle, and most of what you would expect in a ready kitchen. You will also find a basic equipment of spices and durable Gundnahrungsmitteln, such as oil, vinegar, flour, sugar, salt, etc. Furthermore, you will also find kitchen utensils, such as dishwashing liquid, sponges, baking paper etc. Cutlery and dishes are plentiful. Fuse box for this unit? Service-Mobile: In order to reach us with any questions or wishes, is located in the living area a mobile phone with the pre-stored 'service number' ready. We wish you relaxing days in the climatically favored southern Burgenland! wir haben uns sehr wohl gefühlt bei Monika und Alfred. Sehr Empfehlenswert. Wer Ruhe und Erholung sucht ist hier bestens aufgehoben. Die gemütliche Ferienwohnung mit 65 m² ist unterteilt in ein Schlafzimmer, eine Wohnküche, Badezimmer und WC. Die Ferienwohnung wurde für vier Personen geplant und optimiert. Ausreichend Parkmöglichkeiten auf Privatgrund.